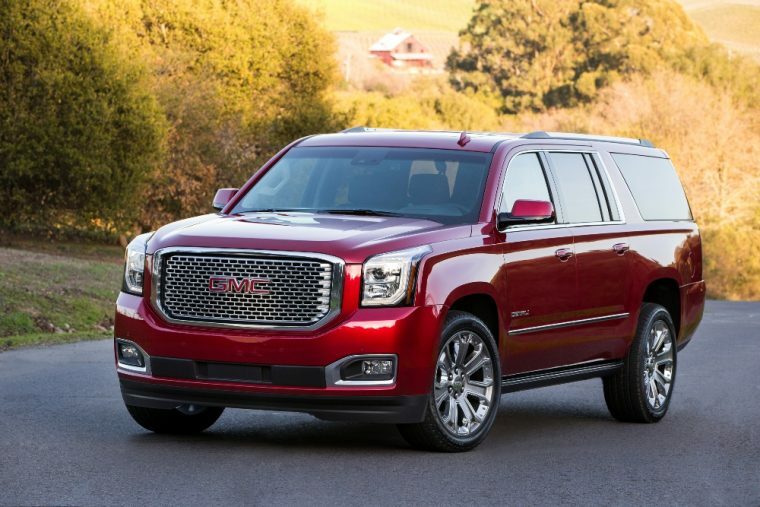 The 2017 GMC Yukon XL is a full-size SUV that uses the same truck-based platform as the Chevrolet Suburban. The GMC Yukon XL is more than 20 inches longer than the regular Yukon model, which allows the XL to provide seating for up to nine people. The interior of the Yukon XL is spacious and well-appointed with plenty of soft-touch materials and a number of advanced tech features, including Apple CarPlay and Android Auto compatibility. In addition, the new GMC Yukon XL is offered with two powerful V8 engine options, as well as the choice between rear-wheel or all-wheel drive. With a starting MSRP of $51,230, the 2017 Yukon XL competes for sales with the Toyota Sequoia, Ford Expedition, and Chevy Suburban. 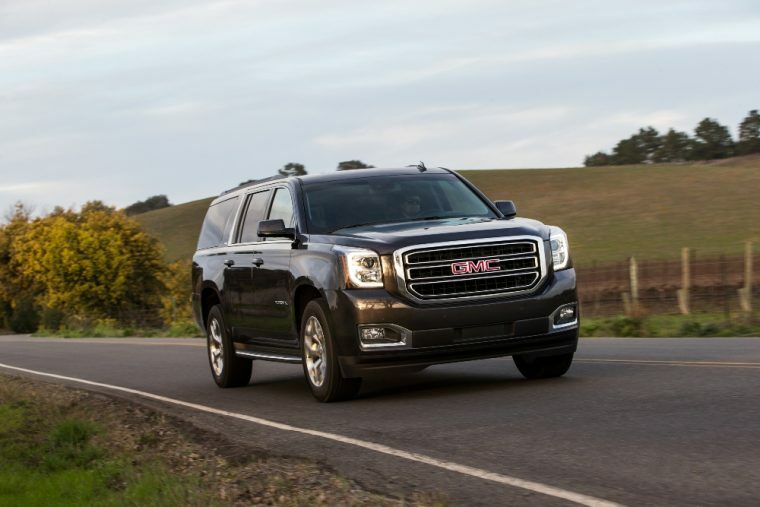 What’s new for the 2017 GMC Yukon XL? For the 2017 model year, the GMC Yukon XL is available with heated and ventilated seats, as well as GM’s new Teen Driver safety system. Also available is low-speed automatic braking, which is offered as part of the Enhanced Driver Alert package. The 2017 GMC Yukon XL features a bold and rugged design that won’t be mistaken for any other vehicle. The new GMC Yukon XL comes standard with 18-inch bright aluminum wheels, LED taillights, and GMC’s signature oversized front grille. However, for those shoppers looking for additional style, the higher level trims also offer features like a polished exhaust tip, bright chrome bodyside molding, and 22-inch chrome wheels. Exterior color options for the ’17 Yukon XL include Quicksilver Metallic, Onyx Black, Summit White, Sparkling Silver Metallic, Iridium Metallic, Crimson Red Tintcoat, White Frost Tricoat, and Drake Sapphire Blue Metallic. The 2017 GMC Yukon XL comes standard with a 5.3-liter V8 engine that provides 355 horsepower and 383 lb-ft of torque. That engine works with a six-speed automatic transmission that sends power to the rear wheels in the most affordable Yukon XL model, but four-wheel drive is also offered on every trim level of the new Yukon XL. For increased performance, GMC offers a larger 6.2-liter V8 for the Yukon XL, which provides 420 horsepower and 460 lb-ft of torque. That engine comes matched with an eight-speed automatic transmission. When equipped with this powerful engine option, the 2017 GMC Yukon XL can tow up to 8,300 pounds and accelerate from 0 to 60 mph in just over six seconds. The 2017 GMC Yukon XL yields EPA-estimated fuel economy of 16 mpg in the city and 23 mpg on the highway when it’s equipped with the standard 5.3-liter V8, six-speed automatic, and rear-wheel drive. Efficiency drops slightly to 15 mpg in the city and 22 mpg on the highway when the consumer opts for the available four-wheel drive system. Furthermore, buyers who upgrade to the 6.2-liter V8 will see fuel efficiency of 15 mpg in the city and 22 mpg on the highway in rear-wheel drive format. In contrast, the four-wheel drive Yukon XL with the 6.2-liter V8 yields fuel economy of 14 mpg in the city and 20 mpg on the highway. Lastly, every 2017 GMC Yukon XL comes standard with a 31-gallon fuel tank. The 2017 GMC Yukon XL features a spacious and luxurious cabin that provides seating for up to nine people. By taking one step inside the cabin, you’ll be sure to notice the contrast stitching on the dashboard and doors, while the available 4G Wi-Fi hotspot will help people stay connected when traveling inside the new Yukon XL. Another notable part of the interior is how quiet it is. 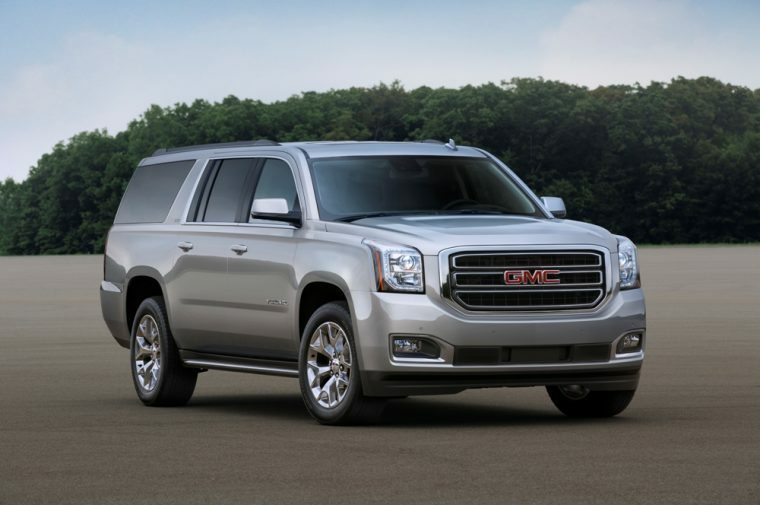 Each Yukon XL was built using triple sealed doors, an acoustic laminated windshield, and valved exhaust system, which all work together to make this GMC one of the most comfortable SUVs on the market. 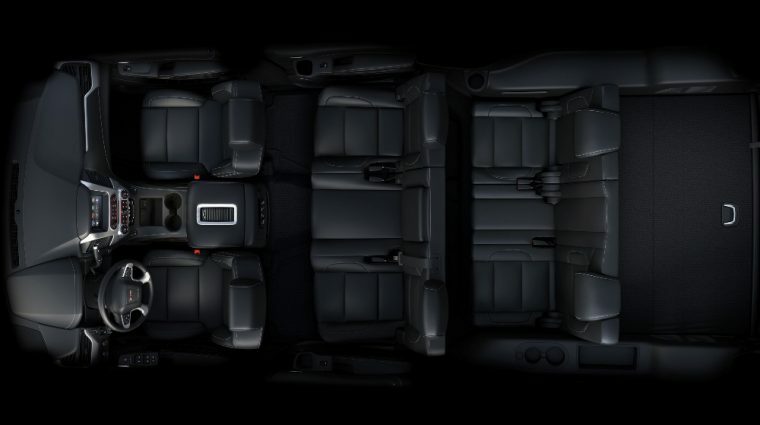 In addition, the Yukon XL provides more than 39 cubic feet of cargo space behind the seats. 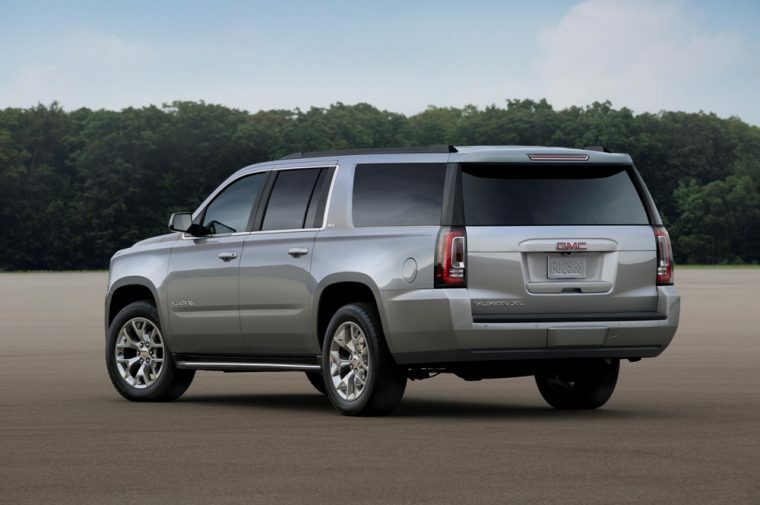 In contrast, the regular GMC Yukon only offers 15.3 cubic feet of storage space. Every 2017 GMC Yukon XL comes standard with seven airbags, a rear vision camera, anti-lock brakes, and electronic stability control. 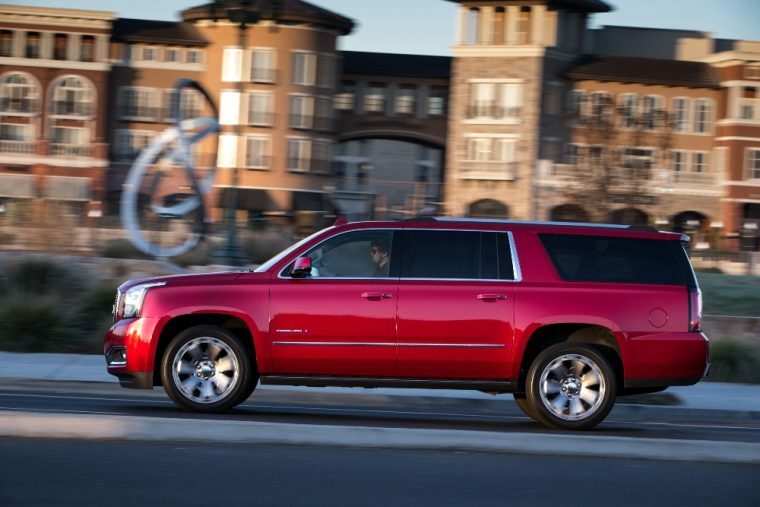 Those safety features helped the Yukon XL earn four out of a possible five stars in overall safety when it was tested by the federal government. Moreover, for the 2017 model year, the Yukon XL comes standard with GM’s new Teen Driver system. This technology allows parents to set predetermined speed limits and maximum volume for secondary drivers, such as teenage children. If those secondary drivers don’t follows those rules, like wearing their safety belts, then Teen Driver can automatically turn off the stereo until all passengers are wearing them. Other advanced safety features offered with the Yukon XL include side blind zone alert, forward collision alert, lane keep assist, lane change alert, and rear cross traffic alert.